Artificial Intelligence (AI) has already changed the technology sector, helping to consolidate the reign of firms like Google, Facebook, and Amazon, which embraced AI early so as to supercharge they’re advertising and retail businesses. Now AI is set to spread beyond the Silicon Valley giants to many other industries, including agriculture, energy, finance, healthcare, retail, manufacturing and more. How should firms go about determining their AI strategy, and what will it mean for the future of their business? 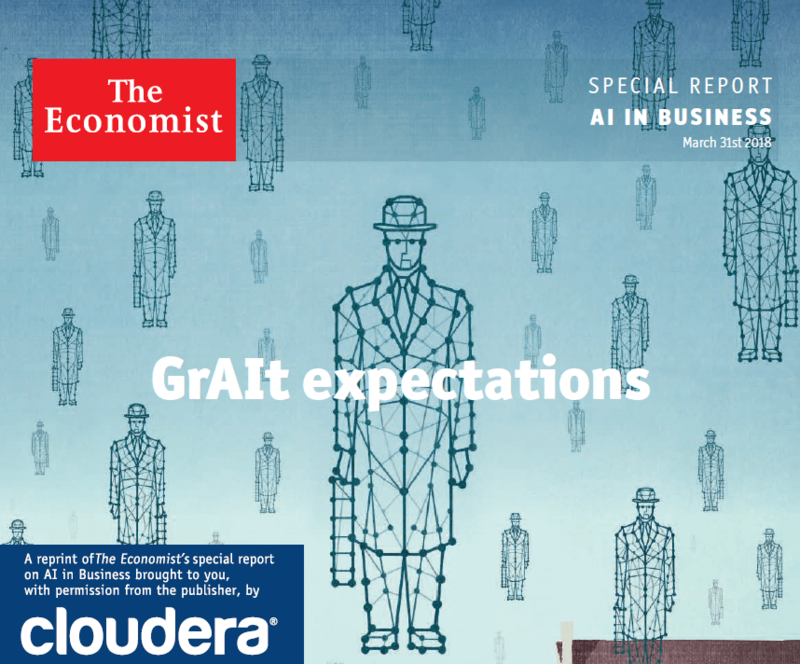 This special report will argue that by enabling them to become more efficient and make far more accurate forecasts, AI will dramatically and fundamentally change the way they work. The report will analyse the effect of different kinds of artificial intelligence (such as computer vision and speech recognition), as well as applications such as human resources, where it will change the way companies recruit, hire and retain staff. AI will also make a big difference to business functions such as customer service, sales, and supply-chain management. In addition, the report will look at the ecosystems that provide AI to companies, including consulting and cloud services and ask which firms will benefit from this technology. And it will consider the future of the workplace at a time when companies are able to collect more data than ever to serve as a basis for decision-making. Lastly, it will examine what AI might to do competition among firms, and whether companies will be better off embracing AI to gain an advantage over rivals, or whether they would be wiser to hold back and learn from the mistakes of others.